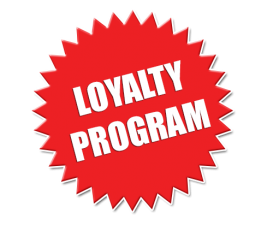 We encourage exhibitors to join the Visitors Loyalty Programme. The programme will allow guests at your stand to purchase products and / or services from your company at a discount, the amount of which you are free to determine. Studies show that after the exhibition not all participants can estimate the number of visitors and therefore accurately assess the effective return on their investment. The Visitor Loyalty Programme will help to define the number and the percentage of return they enjoyed from participating in the exhibition. Under this programme, exhibitors will assign a specific discount for products and / or services, which visitors can use within six months after the exhibition. We, the organisers, will promote the visitors loyalty programmes long before the start of the exhibition, thereby drawing more attention to your stand, products and services. Such promotion will include placing your company logo on the website as part of the loyalty programme; information will be distributed to visitors before and during the exhibition. Wait for calls and letters from our staff!